Fully scalable Photoshop vector shapes, in two angles (from left and right). Freebie! 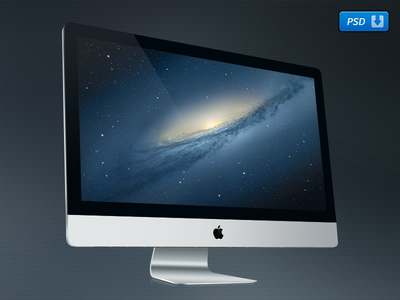 27″ iMac PSD is a free Mockup design resource made by Dribbble user Breezi. As far as I can tell, its license is Creative Commons Attribution.